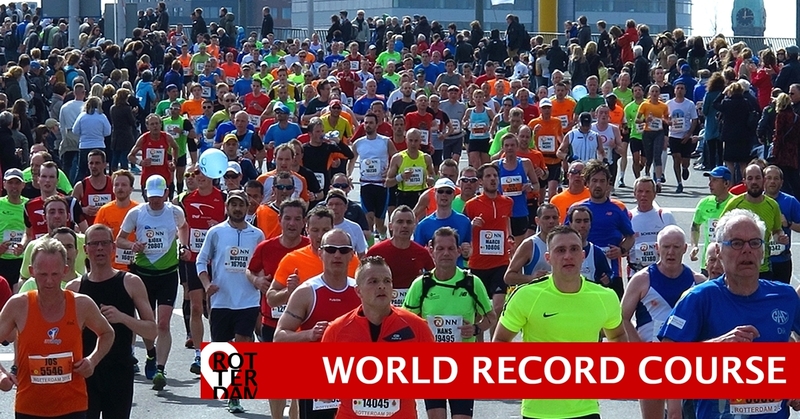 Runner’s World Magazine ranked Marathon Rotterdam as one of the best in the world. 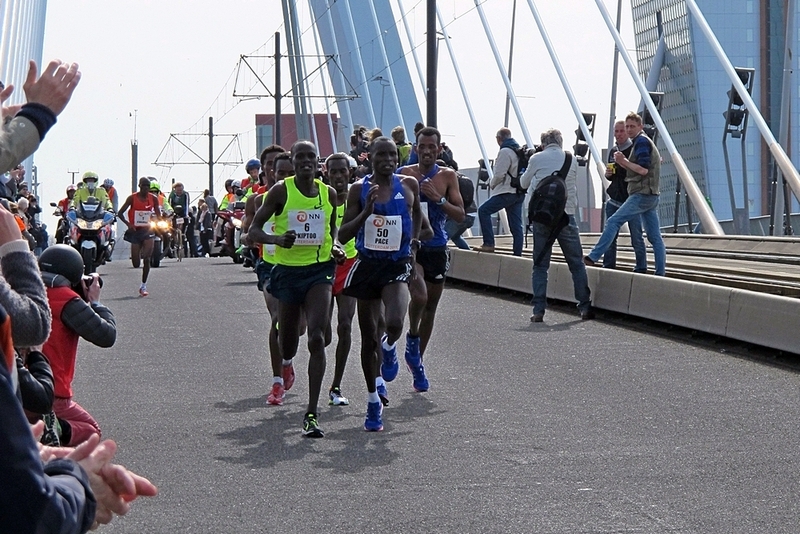 The Marathon Rotterdam is a high level runners event, known for its professional organization, fast times, and elated spectators. That is why the event easily attracts the world’s best athletes, again and again. No wonder, Runner’s World Magazine ranked this sports event as one of the TOP 10 marathons worldwide. For men and for women! 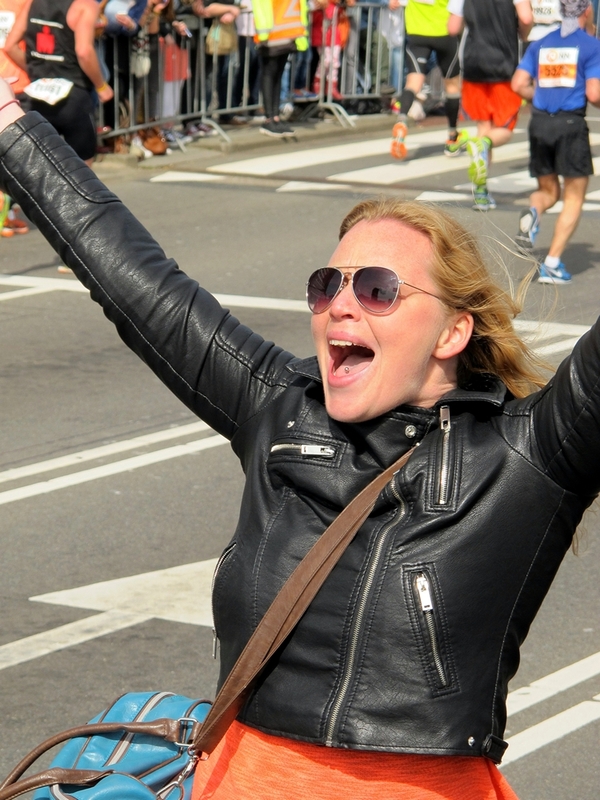 So far, Marathon Rotterdam celebrated three world records. Twice by a man, and once by a woman. In 1985 Carlos Lopes from Portugal finished in 2.07.12. That record was broken by the Ethiopian Belayneh Densamo in 2.06.50, three years later. In 1998, Tegla Loroupe from Kenya gave Rotterdam a women’s world record. She finished in 2.20.47. By the way, the number of participating female runners is remarkably high. 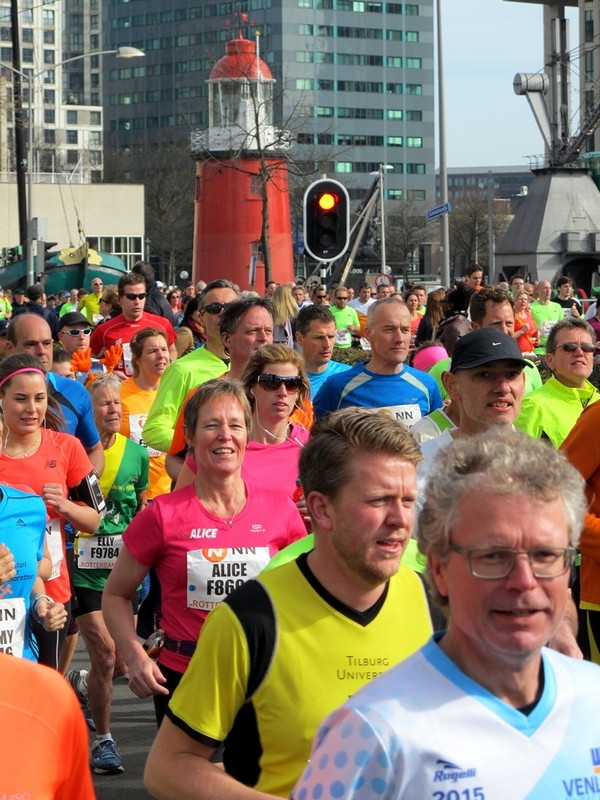 They take up nearly a quarter of all Marathon Rotterdam registrations. The first edition was organized in 1981. Less than two hundred runners participated. Among them, the Scottish runner John Graham, who won the race in 2:09:28. This extremely fast time was not only a compliment for Graham, but also for the course itself. The following years, more and more renowned runners appeared at the start. Like last year, the start isn’t in front of the town hall at the Coolsingel. This long avenue is undergoing a large-scale metamorphosis. So the start will take place at the foot of the Erasmus Bridge. Fortunately, the finish still takes place at the Coolsingel. Runners describe finishing here as a moment they would never forget. 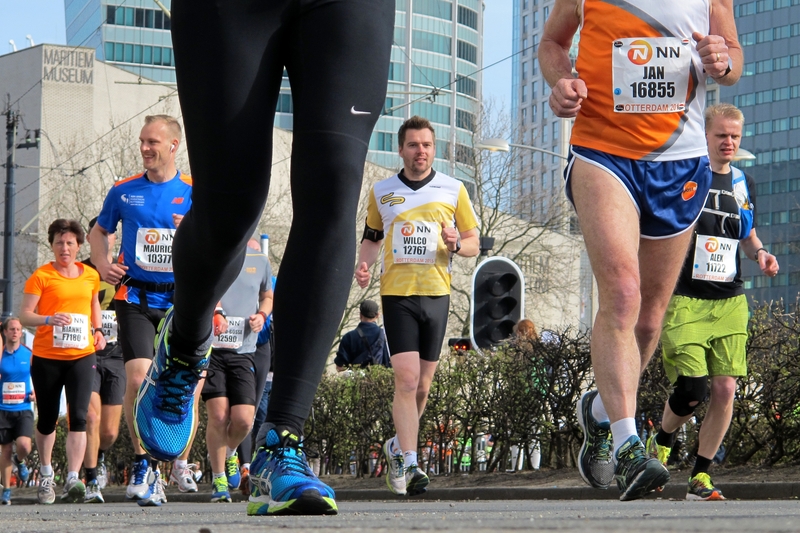 The Marathon Rotterdam weekend is a wonderful blend of sports and festivities. Bands, orchestras, and DJ’s play their music alongside the course, to support the runners. Supporters are given the opportunity to show their encouragement via digital messages, displayed on screens. Needless to say, amongst Rotterdam citizens this event is highly appreciated for its great atmosphere. Marathon Rotterdam 2019 course (PDF). Looking for an impression of this event? Read our blog post about the 2015 edition.